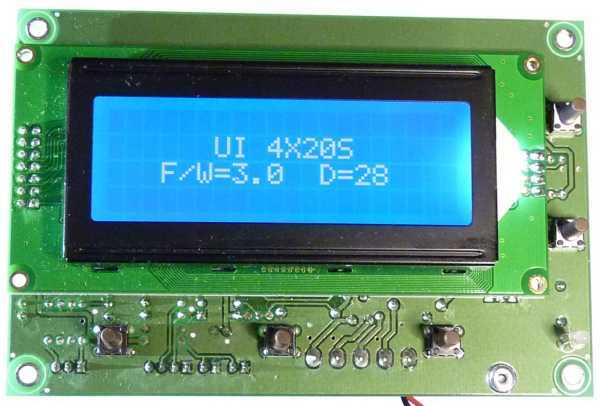 The UI4x20 is the big brother of the UI216 and allows a user interface to be added to any current SPLat controller with an Xwire port. 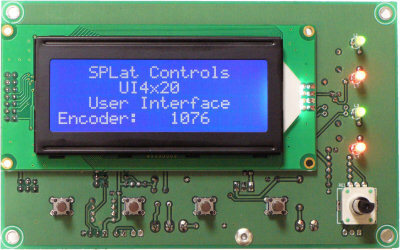 Using the standard set of LCD programming instructions, the SPLat controller can display text and numeric values on the UI4x20, regardless of whether the SPLat controller has an LCD itself or not. The integrated RS485 Xwire port will allow the UI4x20 user interface to be located hundreds of metres away from the controller or be used in electrically noisy environments. In addition, the SPLat controller can manipulate parts of the UI4x20 remote display, while other sections remain under UI4x20's local control. 32 processes for the price of one! No rotary quadrature encoder, but a header allows an external one to be fitted. All other features are identical to the UI420.